Alyn Shipton is an award-winning author and broadcaster, who is jazz critic for The Times in London, and a presenter/producer of jazz programmes for BBC Radio. He was Consultant Editor of the New Grove Dictionary of Jazz, and has a lifelong interest in oral history, including editing the memoirs of Danny Barker, Doc Cheatham and George Shearing. 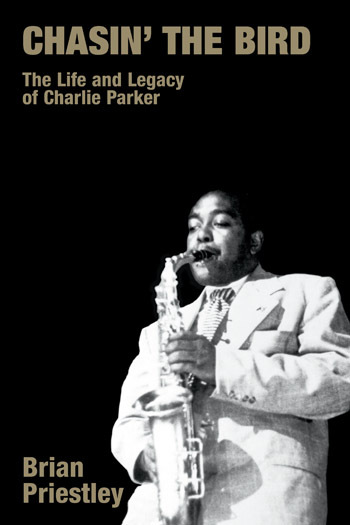 His first biography of Fats Waller, published in 1988, has scarcely been out of print since. His life of Bud Powell (written with Alan Groves) was the first English language biography of the pianist, and his book Groovin’ High, the life of Dizzy Gillespie, won the 1999 ARSC award for the best research of the year. His monumental New History of Jazz, published in 2001, was the Jazz Journalists’ Association Book of the Year, and won Alyn the coveted “Jazz Writer of the Year” title in the British Jazz Awards. In 2003 he won the Willis Conover / Marian McPartland Award for lifetime achievement in Jazz Broadcasting. In 2010 he was named Jazz Broadcaster of the Year in the UK Parliamentary Jazz Awards. Most recently, he has been named winner of the Association of Recorded Sound Collections (ARSC) Award 2014 for best pop music research for his biography of Harry Nilsson (OUP 2013). The same book won a 2014 ASCAP Deems Taylor Award for musical biography. Alyn won an open scholarship to Oxford in 1972, where he read English at St. Edmund Hall. He later went on to take a PhD in music history at Oxford Brookes University. He has been a lecturer in music at Brookes (2002-3), teaching the jazz history course, and he has also given lectures on jazz and American popular music at Exeter University and at the Institute for United States Studies in the University of London. He is now lecturer in Jazz History at the Royal Academy of Music, London. Alyn divides his time between living in Oxford, UK, and deep in rural France. 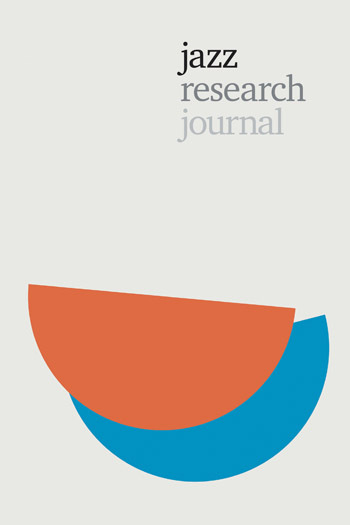 Jazz pianists occupy a unique place in the story of jazz, and the development of the solo piano tradition can be traced independently from that of instrumental ensemble jazz. 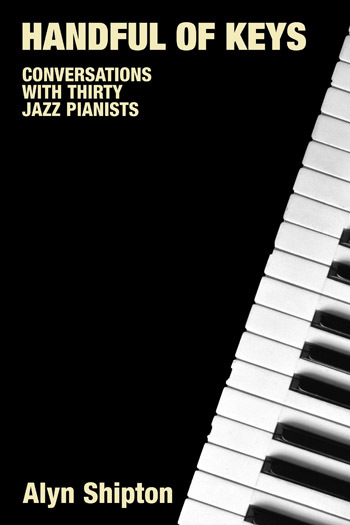 Above all, piano jazz is about the individuals who have made their own individual contributions to the style, and in this collection, Alyn Shipton draws together conversations with many of the key practitioners. Spanning the period from the birth of bebop to the present, their collective experience is a major part of jazz piano history. Sir Charles Thompson and Gerald Wiggins recall the days of Harlem clubs when bebop was being forged there. Their personal memories of bebop giants such as Charlie Parker and Dizzy Gillespie bring the era vividly to life as do the 52nd Street experiences of Dr. Billy Taylor. Horace Silver and Junior Mance were both part of the hard bop and soul jazz revolution, recalling such colleagues as Stan Getz, Cannonball Adderley and Lou Donaldson, while Dave Brubeck was more identified with the cooler West Coast School. British-born Marian McPartland has become synonymous with piano jazz in the United States through her long, running radio show, but here she tells her own story. As she was establishing herself in the United States, Mal Waldron was Billie Holiday’s accompanist, and in one of the last interviews he gave before his death, he reflects on his time with Lady Day was well as his subsequent move to Europe, before looking back on his hectic early career as house pianist for Prestige records. There are memories of Art Blakey from JoAnne Brackeen, tales of Coltrane from Tommy Flanagan, and many memories from Chick Corea, Herbie Hancock and Keith Jarrett. Meanwhile more recent trends are reflected by Diana Krall, Uri Caine and iconoclastic bandleader Carla Bley. This chapter discusses Carla Bley, an iconoclastic composer, whose work spans free jazz, rock fusion, and conventional big-band orchestration. Carla Bley is portrayed as one of the most distinctive and immediately recognizable figures in contemporary jazz. This chapter describes JoAnne Brackeen as one of the most versatile and wide-ranging pianists in contemporary jazz. This chapter is concerned with the figure of Dave Brubeck, an American jazz pianist and composer, considered to be one of the foremost exponents of cool jazz. This chapter discusses one of the most versatile pianists in contemporary jazz, Uri Caine. His versatility is coupled with an extraordinarily prolic output of recordings and large-scale projects, ranging from out-and-out jazz to his detailed explorations of Bach and Mahler that dig deep into the interstices of the genres, adding a host of additional ideas from Jewish cantors to urban DJs. This chapter presents Alice Coltrane, the American jazz pianist, organist, harpist, and composer, and the second wife of jazz saxophonist and composer John Coltrane. This chapter presents Chick Corea, the American jazz and fusion pianist, keyboardist, and composer. This chapter presents Sylvie Courvoisier, Swiss composer and pianist, who has chosen to make her way in America, without compromising the peculiarly European qualities that she brings to her music. This chapter presents the American jazz pianist and composer, Tommy Flanagan. This chapter describes Michael Garrick, one of Britain’s most prolific and imaginative jazz musicians. This chapter presents an interview with Benny Green, a hard bop jazz pianist who was a member of Art Blakey’s Jazz Messengers. This chapter discusses Herbie Hancock, an American pianist, keyboardist, bandleader and composer. The information is based on an interview with the author, prompted by the release of Herbie’s 2001 album, Future 2 Future, and which was published in that October’s Jazzwise. This chapter presents some insights from the life and career of Andrew Hill, recognized as one of the most important innovators of jazz piano in the 1960s. This chapter presents Abdullah Ibrahim, South Africa’s leading jazz pianist, and, particularly since the end of apartheid, one of the most influential musicians on the new generation of players that are emerging in his country. This chapter offers some information about the life and career of Keith Jarrett, an American pianist and composer who performs both jazz and classical music. This chapter offers information based on an interview with Brian Kellock, one of the UK’s leading pianists, double winner at the BBC Jazz Awards, with prizes in both 2002 and 2003. This chapter offers the original piece on Diana Krall, a Canadian jazz pianist and singer, as it appeared in June 1999 edition of Jazzwise magazine. This chapter presents the author’s conversation with John Lewis, American jazz pianist, composer and arranger, best known as the musical director of the Modern Jazz Quartet, which appeared in the July 2000 issue of the Piano magazine. This chapter draws together articles written at various times for Jazziz and Piano about Jacques Loussier, a French pianist and composer, well known for his jazz interpretations in trio formation of many of Johann Sebastian Bach’s works. This chapter presents the author’s interview with Junior Mance, an American jazz pianist and composer, which appeared in the March 2002 edition of Piano. This chapter presents the author’s unpublished interview with Marian McPartland, an English-American jazz pianist, composer and writer. This chapter presents Oscar Peterson, a Canadian jazz pianist and composer, through the author’s conversation with him in 1999. This chapter presents an interview with Michel Petrucciani, French jazz pianist, in 1994, which was published in the July 2001 edition of Piano. This chapter presents the author’s conversation with Horace Silver, American jazz pianist and composer, from 2000. This chapter presents a discussion with Esbjörn Svensson, Swedish jazz pianist and founder of the jazz group Esbjörn Svensson Trio, commonly known as E.S.T. This chapter presents the author’s conversation with Billy Taylor, an American jazz pianist, composer, broadcaster and educator. This chapter discusses John Taylor, a fine organist and one of Britain’s most versatile jazz pianists. This chapter presents an interview with Butch Thomson, an American jazz pianist and clarinetist, from the October 2003 edition of Piano. This chapter presents the author’s conversation with Sir Charles Thompson, an American swing and bebop pianist, organist and arranger, which appeared in the January 2002 edition of Piano. This chapter discusses Mal Waldron, American jazz pianist, composer, and arranger, based on one of the last interviews he gave before his death, which was published by Piano in March 2003. This final chapter discusses Gerald Wiggins, American jazz pianist and organist, and appeared in Piano in March 2002.